Calvary Chapel Fort Lauderdale (CCFL) is one of several “megachurches” in South Florida and is continuing to grow. Calvary Chapel hosts tens of thousands of parishioners each week at our main campus in Fort Lauderdale as well as the nine other satellite locations ranging from Boca Raton and Boynton Beach to the Florida Keys. Our web-campus is also expanding, with a virtual attendance of 8,000 to 10,000 viewers weekly. People everywhere, no matter what they’re doing, have become completely acclimated to high quality video. Churches today have become more like broadcast stations. 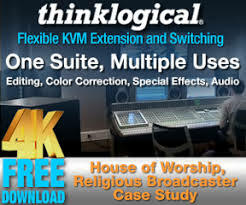 There is an ever-increasing demand for quality video for both web based streaming and internal House of Worship IMAG. My philosophy as Calvary’s Video Operations Manager has always been to be focused on budget, ﬁrst and foremost, but to demand the highest quality equipment that our budget will allow. When we were planning out our full HD upgrade, cameras were obviously a key consideration. Having been in the business for over 30 years, I have always associated Ikegami with the top of the line when it comes to cameras. That’s why we zeroed in on the Ikegami HDK-55 full digital HDTV camera. We expected that its image quality would communicate our message to our parishioners with exceptional clarity. The HDK-55 is a compact low-proﬁle camera head with docking adaptor for ﬁber or triax cable use (we use ﬁber at CCFL), and is a highly affordable member of Ikegami’s Unicam HD camera series. Ultimately it was the perfect ﬁt. Having been a former Chief Operations Ofﬁcer, my mandates when selecting any equipment have been: 1) Purchase equipment from a company that is focused on customer service and support, and 2) Make sure that the gear we purchase is the best – and that it will last. I know from experience that Ikegami makes a broadcast-grade product, that’s extremely dependable and backed with the most conscientious customer support. 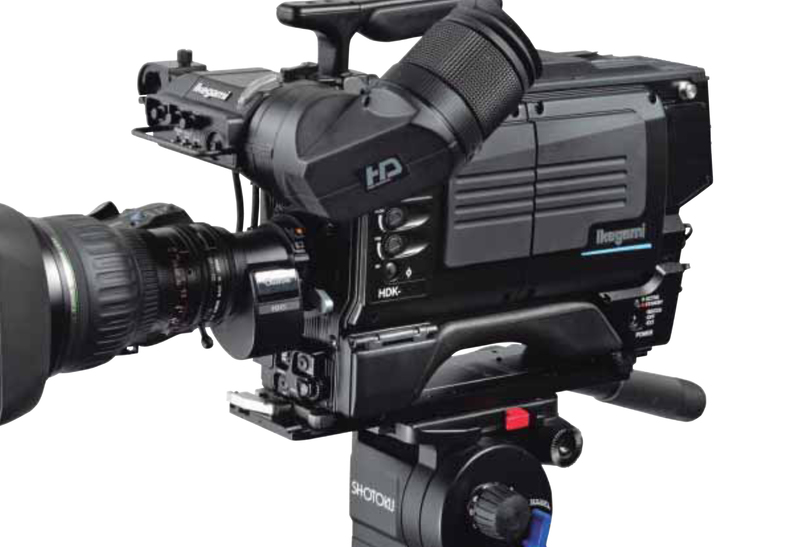 When we designed our new HD production chain, our ﬁve Ikegami HDK-55 cameras were the ﬁrst thing we bought. These cameras were certainly not allowed to rest on their laurels, however. In fact, they were presented with a tricky problem to solve from Day One. 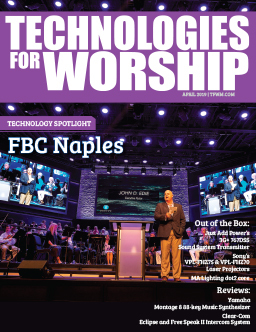 CCFL is centered around our 4,000-capacity Fort Lauderdale main Sanctuary, which serves as the hub of our other satellite campuses throughout the South Florida metropolitan area. On that Sanctuary’s stage, we have several types of lighting present in different situations including praise and worship, teaching and, on occasions, special events. Each situation has a different lighting arrangement, and components that affect the ﬁnal picture that we present. 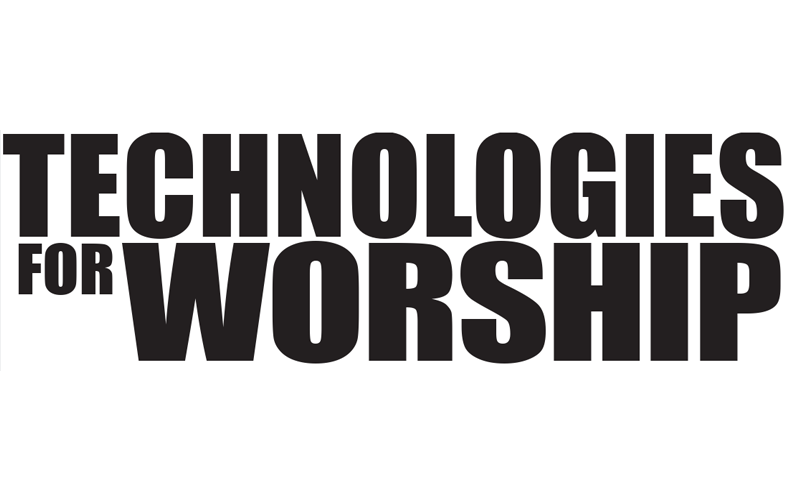 For example, praise and worship features carbon arc beams and LED units, while teaching calls for tungsten ﬁxtures. Making things even more complicated for video capture is the fact that we have a 60-foot wide imageblended projection on the back wall. We have three Ikegami HDK-55’s on platforms with long lenses, one on a jib, and another handheld to capture each service. The Ikegami HDK-55’s capabilities proved impressive in helping us to insure that all the various elements would balance onscreen, so that one wouldn’t overpower the other — we were concerned that the difference between these various components would make video acquisition difﬁcult. The HDK-55 uses 1080i 2.3 megapixels AIT CCDs, and conﬁrmation of their performance is how little tweaking we had to do to our environmental elements to achieve a perfect balance for all luminosities. We didn’t have to make any noticeable changes to our live programs in order for them to translate well to video. The performance of the cameras also allow us to display a more reﬁned and detailed projection image. All of these gains represent a signiﬁcant beneﬁt to our pastor, musicians, educators and of course our audience, who tell us that what they see is sharper and cleaner: Even if they’re attending via a satellite campus, they feel as if they’re actually watching somebody who’s right there on the stage. 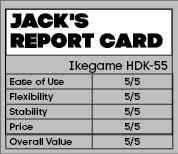 Just as important, the HDK-55’s achieved this perfect balance right out of the box. The cameras’ whole chain, including all the peripherals and CCU, allowed them to come out the right way immediately. You can easily get into the menus and tweak if you need to, but the HDK-55’s behavior is dynamic and very well-engineered – it’s impressive to experience it live. The other side of the equation is how quickly our staff could adapt to these cameras. We found that there is a high level of ease-of-use built into the Ikegami HDK-55, which is particularly important to us since CCFL utilizes volunteers and contractors who don’t have a lot of spare time to learn the equipment. The feedback we’ve gotten from them is that the cameras are very intuitive. The Ikegami HDK-55 is making their lives easier, which means I can devote my time to everything else that goes into our services.